Enjoy the best that the Alps have to offer on these breathtaking trips. You’ll travel to high altitudes and round tight corners that hug mountain sides on the most spectacular road trips through Switzerland by car. Travel through the historic Great St. Bernard Pass, a high-altitude road with simply stunning scenery from start to finish. Start from the Swiss town of Martigny and climb to around 2,500 metres as you traverse the Alps on your way to Italy. The route is famous for the centuries old St. Bernard Hospice, where the shaggy, life-saving and alcohol carrying St. Bernard dogs get their name. Famous among Bond lovers for its Goldfinger scenes, the road to Furka Pass is a high-altitude journey packed full of glacier views, mountain-top vistas and valleys that plunge into the distance. 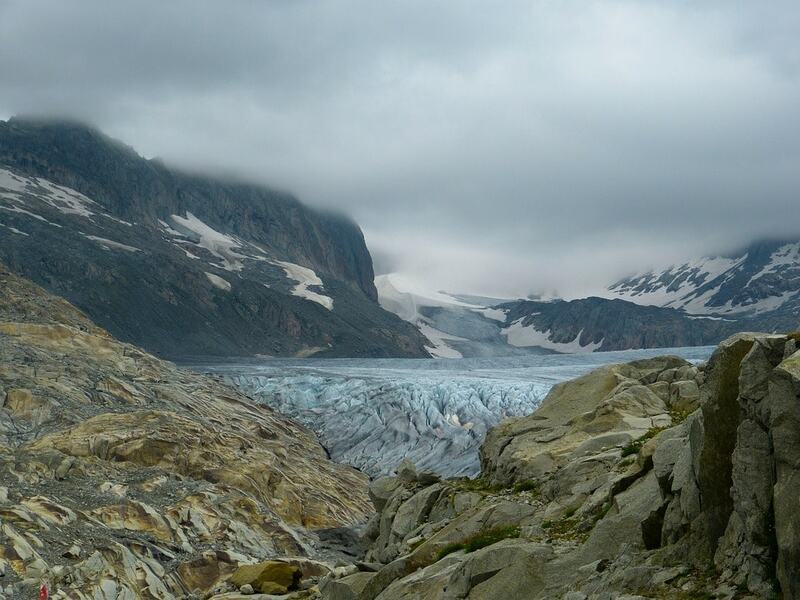 Travel from Gletsch to Andermatt (or vice-versa), and along the way stop to visit the once mighty Rhone Glacier, which is now sadly retreating at an incredibly fast rate. Travelling from the ski resort of Davos to Stelvio takes you on to one of the Swiss Alps’ most famous roads, and indeed one of the best in the entire world. The twisting and turning Stelvio Pass–which includes a teeth-clenching 60 hairpin corners–is known as one of the best driving roads in the world. From the top of the pass to the bottom, the road continually cuts back into itself and zig-zags down to the valley below. You’ll want to tackle this one after a good day’s rest as it’s a mental workout. Another Alpine pass that’s steeped in history, this route that links up Andermatt to Biasca, was an important link for trade. Since the beginning of the 1980s it’s been possible to make the trip by road, thanks to a ten mile stretch of tunnel that cuts through the mountains. Along the way you’ll pass by the famous Devil’s Bridge in the Schöllenen Gorge. 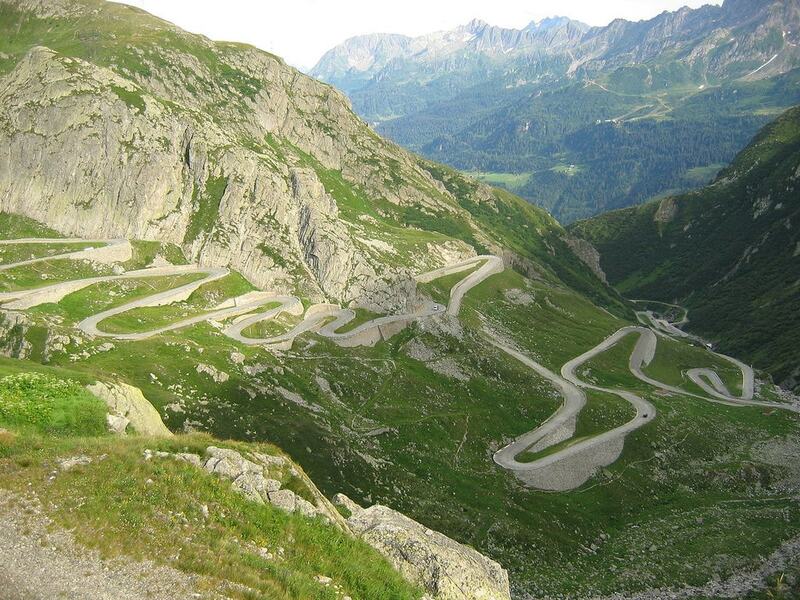 The Gotthard Pass is also one of the most famous hiking spots in Switzerland.